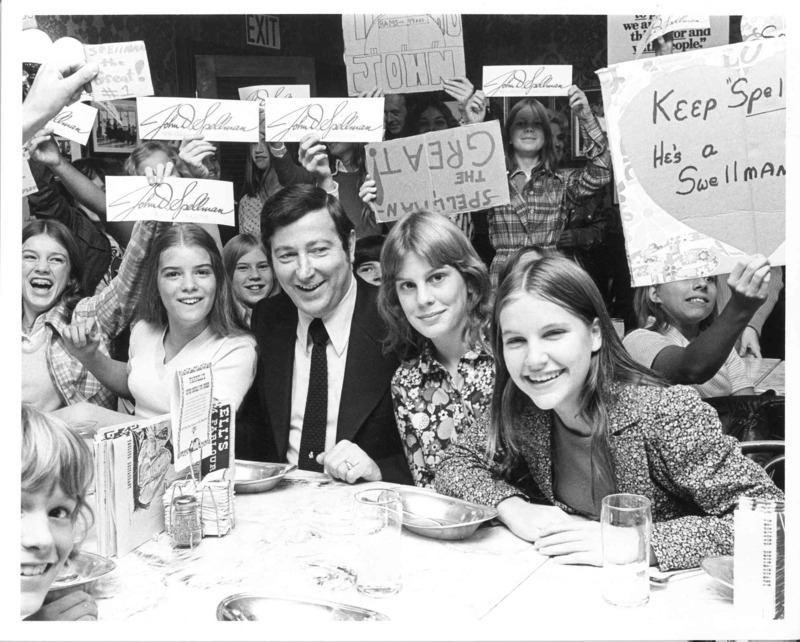 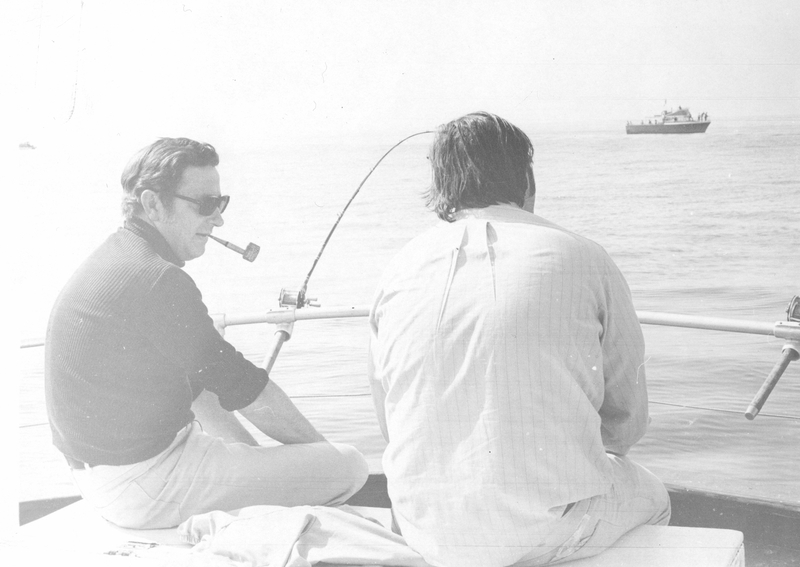 In memory of former Washington State Governor John D. Spellman, who passed away yesterday, the Archives shares a few photographs of his service as King County Executive from 1969-1981. 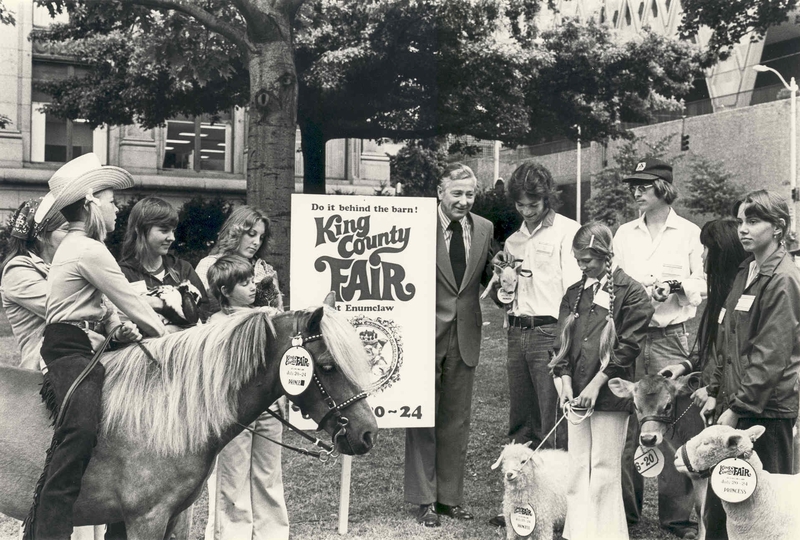 King County Executive Dow Constantine describes Spellman as having been an “amiable, humble man,” and these qualities come through in photos of his interactions with County employees and the public. 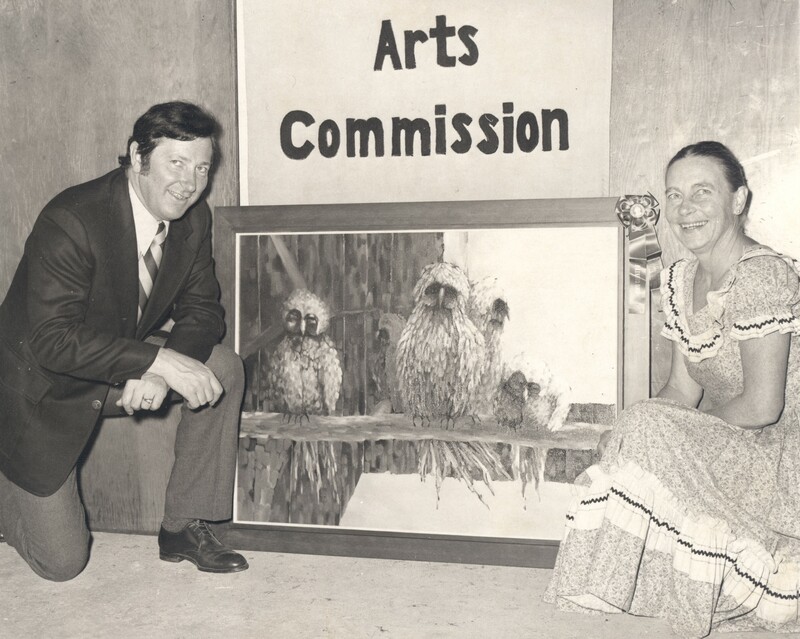 Grant for parks acquisition, 1973. 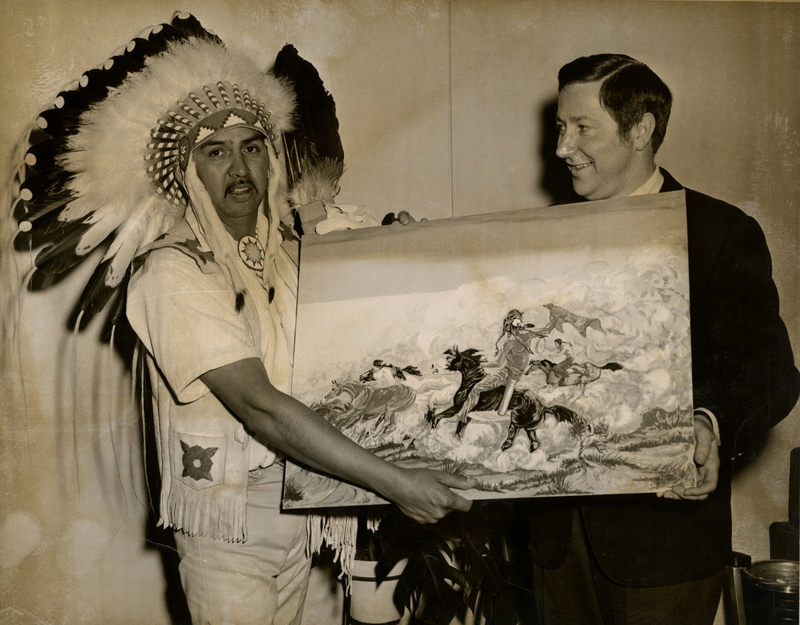 With Glen Eaglespeaker (Kainai), of the Northwest Inter-Tribal Club, circa 1970. 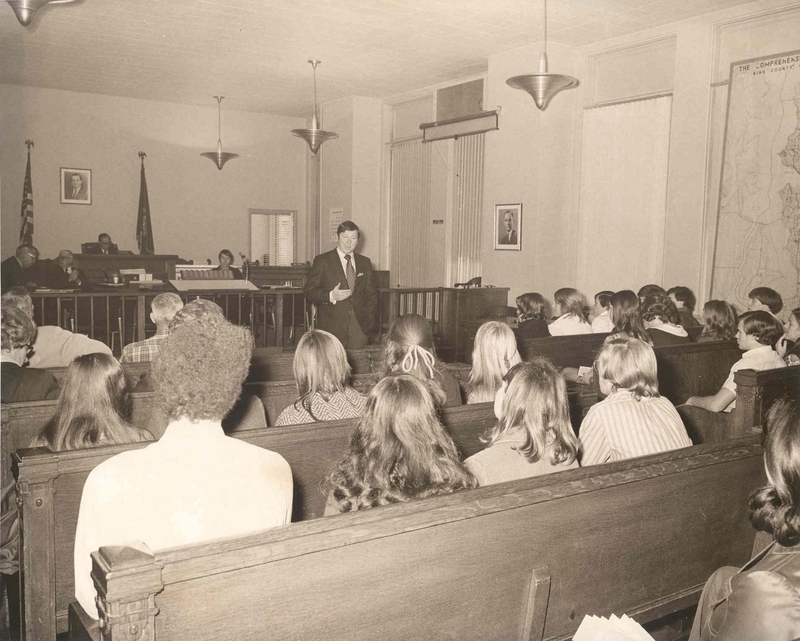 With students in King County Council chambers, 1971. 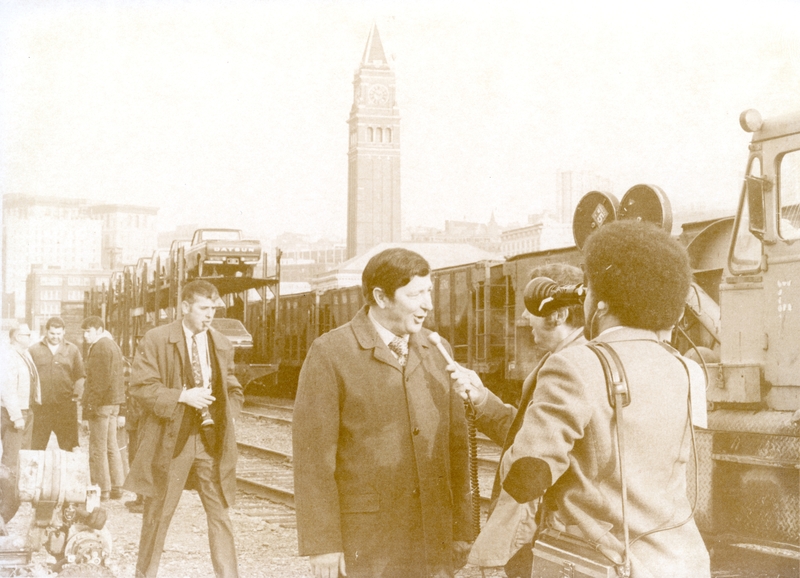 At future Kingdome site, 1974. 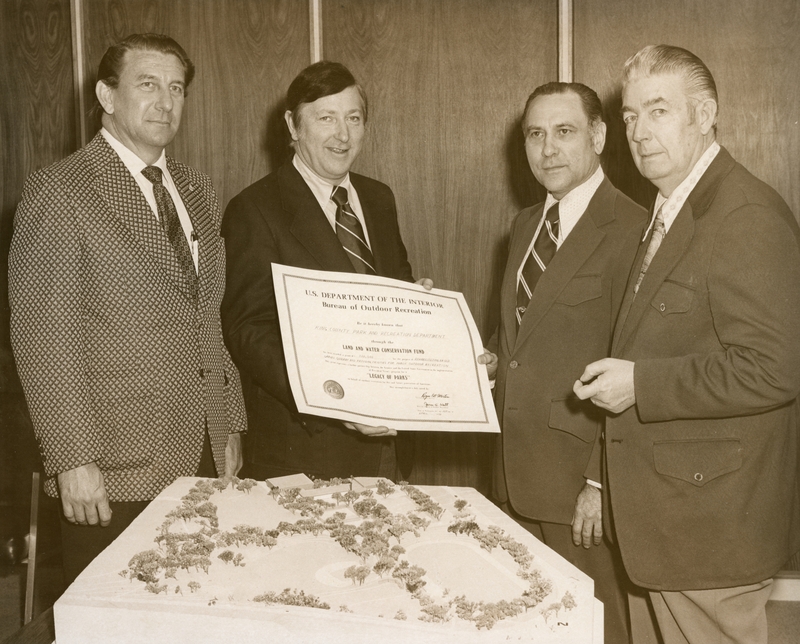 Dedication of the Green River Pump Plant, 1973. 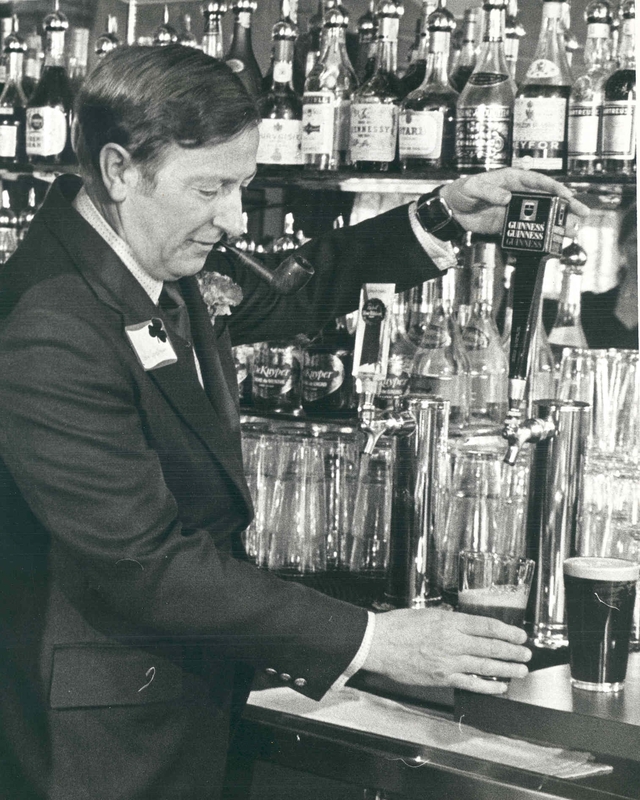 Pouring a beer, circa 1973. 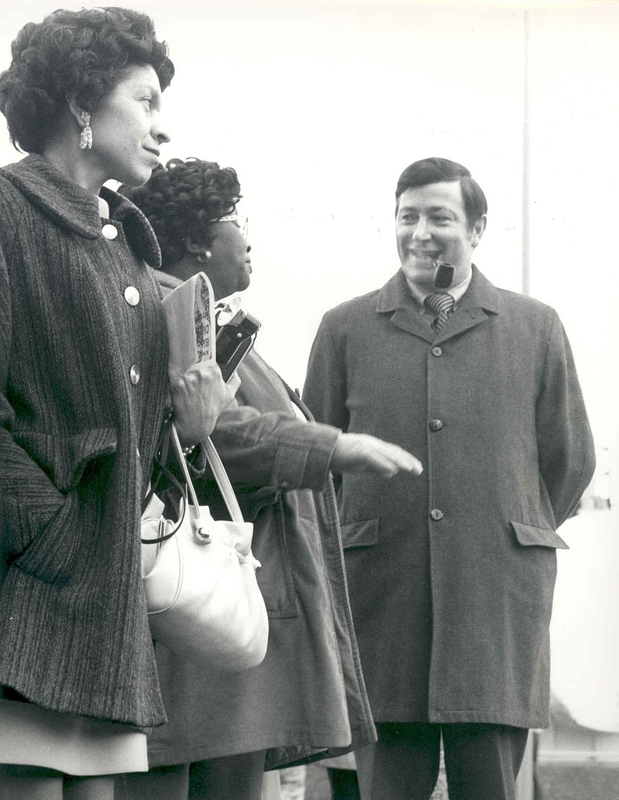 King County Arts Commission event, 1969.